We all know that in any given business or work environment, some people are more productive than others. But did you know that there is a direct connection between an employee’s productivity and how often she gets to work within her strengths? According to Gallup, employees who exercise their strengths on a daily basis are 8% more productive than their colleagues and a full 15% less likely to quit. That means that not only are those employees more productive, they’re also more content with their jobs. Employees who are disengaged are less productive and more likely to quit. As a business owner, what is that costing you? Not only in terms of the money that you invest in training and grooming a new employee, but what does it mean for overall company morale? Someone who is unhappy in his job and complains about it is going to negatively affect the people around him. That type of discontent spreads easily, making more employees less productive and less happy with their workplace situation. In order to retain an employee who is productive and engaged, you need to make sure she is working within her strengths. But how does she know what those are? Many employers simply ask their employees what they are good at, and hope or assume that they are accurate in reporting their strengths. While the process of having a collaborative, engaging discussion may be the right approach, it overlooks a significant fact of human existence: we often confuse what we want to be good at with our actual strengths. It’s easy to confuse our desires with our abilities, or even be completely unaware of some of our strengths. We can ask friends, family, and co-workers their opinion, but still run the risk of human error. It’s not that employees want to misrepresent themselves, they just don’t have the objective information to do so. Enter the Highlands Ability Battery (HAB). 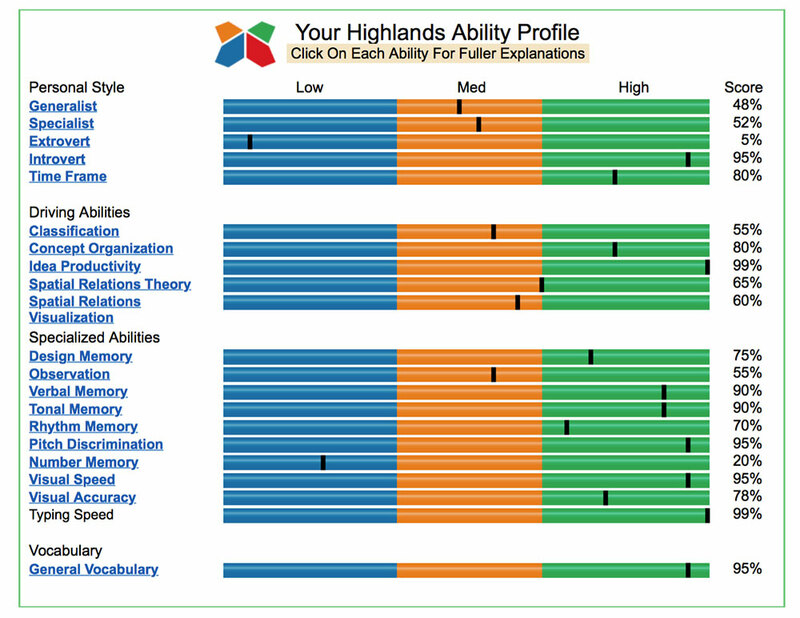 The HAB is a series of timed, online performance tests that objectively measure a person’s natural abilities. No tricks. No opinions. No human bias to interfere with the results. 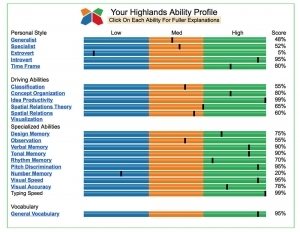 Just a proven, reliable method to assess a person’s natural abilities and a multi-page report to explain those results in-depth. Even objective information has its limits if it isn’t properly applied. That’s why the HAB is administered by a Highlands Certified Consultant, and the taking of the test is followed up with a two-hour debrief. The result is an engaged employee who can now fully participate in aligning his strengths with his work responsibilities, removing the full onus of alignment from HR or managers. Consultants receive 16 hours of training and receive ongoing professional development. They are well versed in the HAB and the ways in which specific combinations of abilities affect a person’s ability to thrive in different work environments. Consultants can take the results of a HAB and translate them into real-life, working situations with practical application. Imagine if your employees were in tune with their strengths and shared a common vocabulary when talking with one another about performance issues. Would that make a difference in engagement? Productivity? Would morale improve if your employees were empowered to identify their most effective problem-solving skills and then encouraged to use them? The Georgia School Superintendents Association (GSSA) has used the HAB for years to equip its leaders and encourage personal and organizational health and growth. That’s just one example of the HAB at work, and you can find many more on our website. 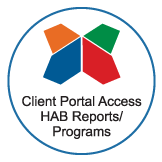 We’d love to talk to you and explore the ways the HAB can benefit your company or organization. Call us today and start unlocking the potential of your team.